Most travellers on their return from Italy will praise the beauties of the Tuscan cities, rave about the Northern lakes and possibly even become slightly hysterical when recalling the splendours of Venice, but how often have you heard about the less well known region of Calabria? Situated in the ‘toe’ of the Italian peninsula, travellers often overlook Calabria and that’s a shame. The easiest way to explore the region is to check out the options for car hire in Italy as public transport can be patchy and the last thing you’ll need is a grizzling family staring anxiously at the empty road, waiting for the non-existent bus. 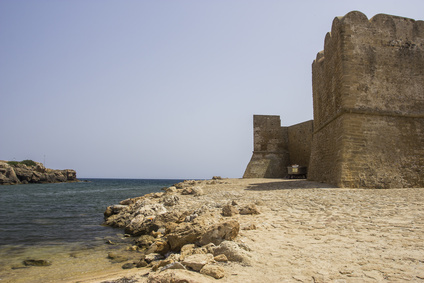 For sun and water lovers one of the best places to start your trip around this region is the town of Crotone on the Ionian Sea. This ancient town will fulfil any romantic dreams your kids might have about castles; take them to see Le Castella, which can only be reached by foot when the tide is low and looks as if it has stepped right out of the pages of any children’s book. Alternatively, just spend some time unwinding on the beautiful beach and then return to the town to enjoy a freshly cooked Calabrian meal of seafood and other local delights. If you make your way along the coast to Reggio Calabri, try and visit some of the small towns on the way. The ancient town of Locri only boasts some 13,000 inhabitants but it does just happen to have an ancient Greek theatre and other amazing ruins that include some necropolises that will fascinate your children. The Ionian coastline is suitable for snorkelling and diving and you can even go on a further adventure by exploring the shipwreck at Roccella Ionica. Most roads in Calabria will eventually lead you to the bustling port of Reggio Calabria, not only is this the point of embarkation for Sicily this is a city that is crammed with beautiful ancient sites, wonderful restaurants, including ‘La Dolce Vita’ famous for its ice cream, as well as home to many sporting activities that can be enjoyed by old and young alike. Calabria boasts over 500 miles of coastline and four national parks and this rather overlooked region has plenty to offer all types of family. The fact that the area is not the tourist Mecca that the more popular Northern regions have become is something of a bonus and on some occasions you can just enjoy the beautiful beaches with only your family for company. If you want to stop off and see some stunning waterfalls or mysterious ancient Greek statues then try and take some time out in the ‘Aspromonte national park,’ on your way further south. Alternatively if you have plenty of time then start your trip on the west side of the Peninsula. Ice cream aficionados will most definitely want to visit Pizzo to enjoy the clean beaches and the amazingly tasty ‘tartufo,’ the local ice cream.